Named after Erik Tanaka, co-executive chef and partner of the Tom Douglas empire, TanakaSan is one of T-Doug’s many food and non-food businesses in the gargantuan Via6 complex at Sixth and Lenora. 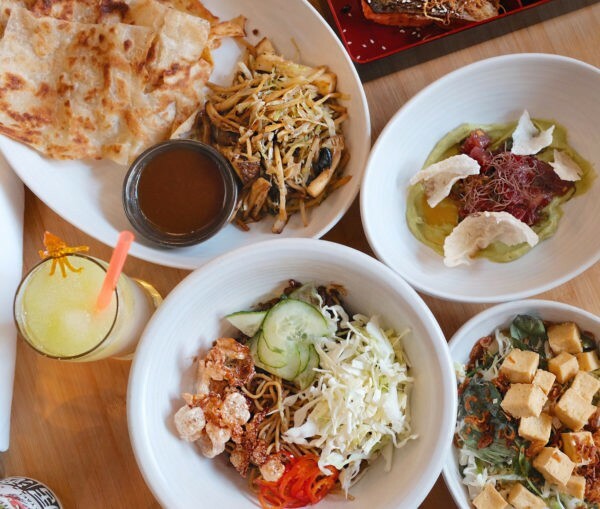 Confusingly, Erik Tanaka is not the chef of TanakaSan; the upscale Asian-fusion menu comes from chef Brian Walczyk (formerly of Brave Horse Tavern) and includes rice bowls and fried chicken wings. Make reservations for TanakaSan here. Happy Hour Daily 3-6 pm ($6.50-$7.50 slushies, $6.50 soju and sake, $6 tap beer, $6.25 wine, food menu).